We’ve got some fun travel tips! Are you looking for the next place to take a romantic vacation? Rich in nature and history, Kentucky is the frontier pioneer Daniel Boone explored, home to the Wildcats basketball team, and has an illustrious equine industry. A number of A-list celebrities have come from the Bluegrass State, too! Backstreet Boys member Kevin Richardson went to high school in Estill County. George Clooney was born in Lexington. Jennifer Lawrence, Billy Ray Cyrus, and Johnny Depp are all from Kentucky, too! Check out these travel tips to have the most romantic trip to the Bluegrass State! 1. Cumberland Falls: Cumberland Falls has more to it than just a waterfall. 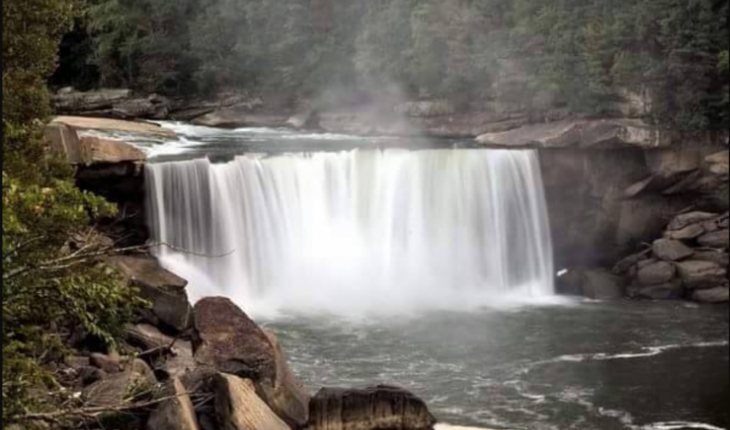 It’s a state resort park nestled in the Daniel Boone National Forest and has been voted one of the most romantic getaways in Kentucky. Known for the Moonbow, a rare event that happens once a month during the full moon, the waterfall is hard to turn away from in person. There are even trails you can hike on! 3. Kentucky Horse Park: We can’t mention romantic places in the Bluegrass State without mentioning the Kentucky Horse Park in Lexington. A fun fact about the park: It has had horses on its land for more than 200 years. The park hosts a series of events such as the Southern Lights Holiday Festival and Breyerfest. And while you’re in Lexington, you can check out some local coffee shops and explore wineries. 4. Seelbach Hotel: This hotel is a historic hotel in Louisville. Many famous Americans have come to this hotel throughout the years, including Scott F. Fitzgerald, who took inspiration from it for The Great Gatsby. It’s a popular place for a romantic evening and still has a doorman and bellhops to carry your luggage. And, while you’re there, don’t forget to sip on your bourbon (as long as you’re 21 or older)! 5. Red River Gorge Cabins: Why not rent a whole cabin with your honey near the Natural Bridge? Red River Gorge Cabins is family-owned and located in the forest. Some of the cabins have wifi, but don’t expect to get much cell service. Rent either The Honeybear Love cabin or The Love Shack, and take a soak in a hot tub! Are there any other romantic must-sees in Kentucky? Let us know in the comments below!